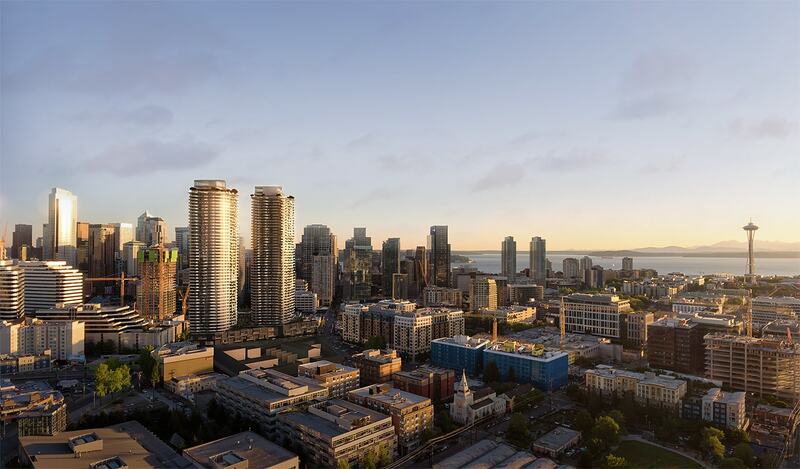 Situated at the northeast corner of the Denny Triangle just off the I-5 highway, 1200 Stewart is conceived as a gateway building into downtown Seattle. 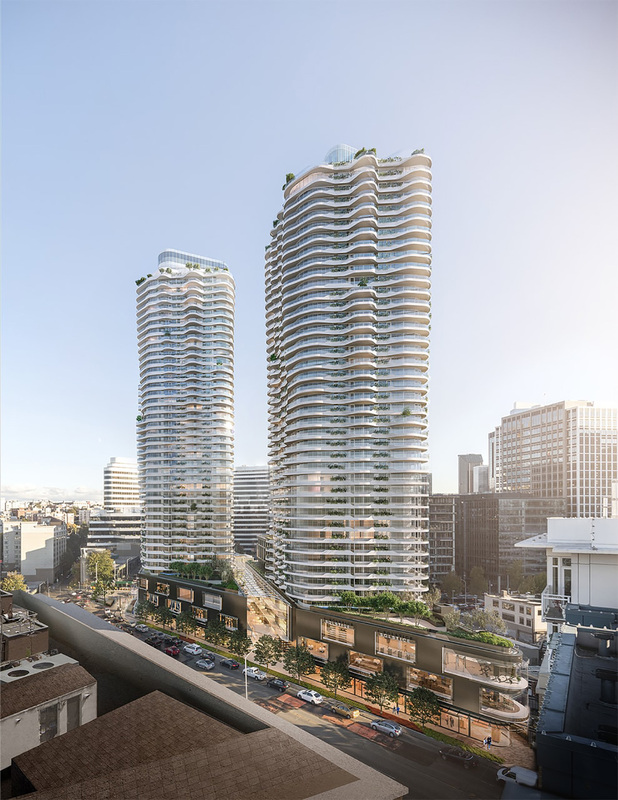 This mixed-use project occupies an entire city block and is comprised of two 44-storey residential twin towers resting on a 3-storey commercial podium. 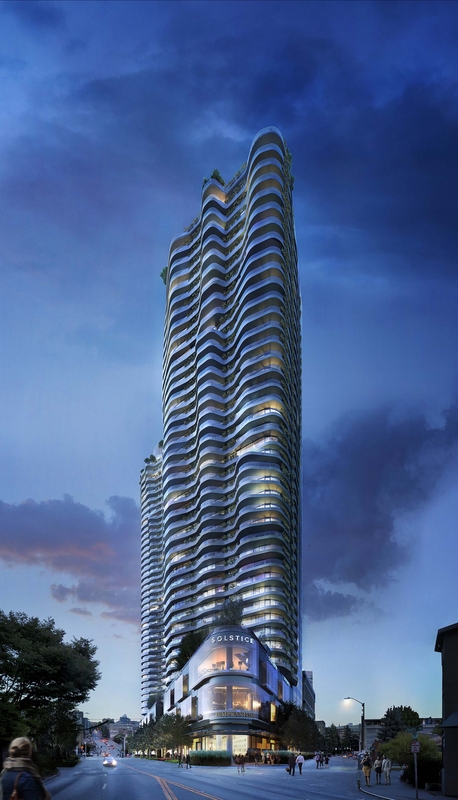 The residential towers house more than 1,000 units. 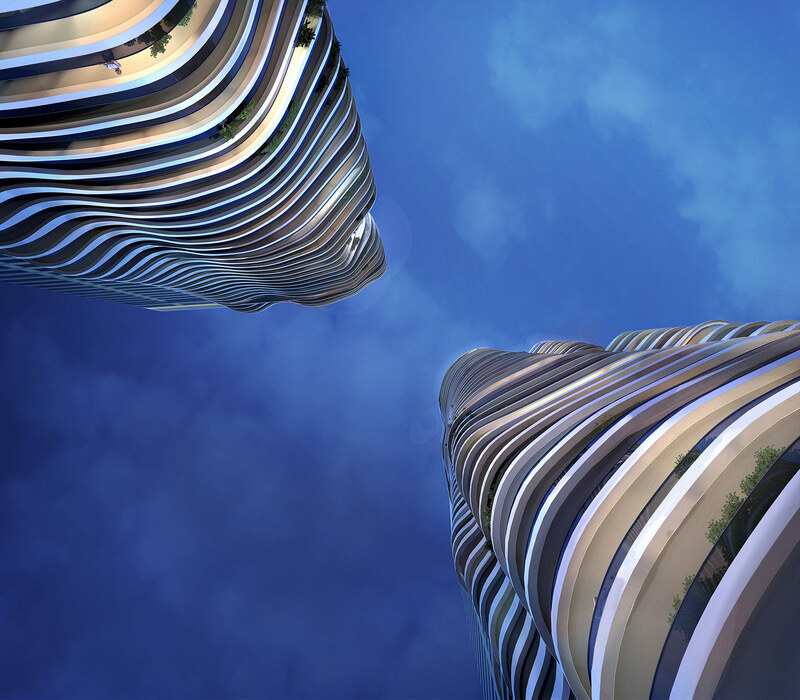 The most striking feature of the residential towers are the sculptural balconies. Their topographical or geological expression make them appear like timeless, weathered sentinels in the skyline. Within the folds of the balconies, planting provides privacy between units and contributes to the organic nature of the building. The podium is cleaved by a 3-storey high structural glass galleria, that provides pedestrian connection through the block. 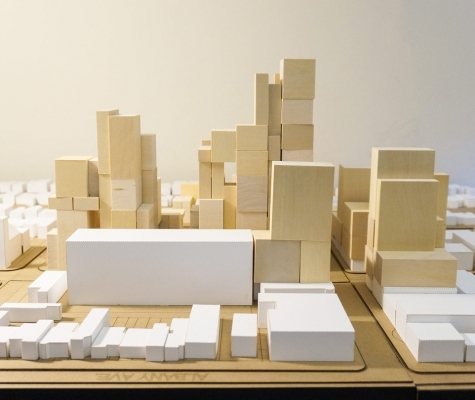 The podium is conceived as an internal street – a very public and active replacement of the vacated alley. 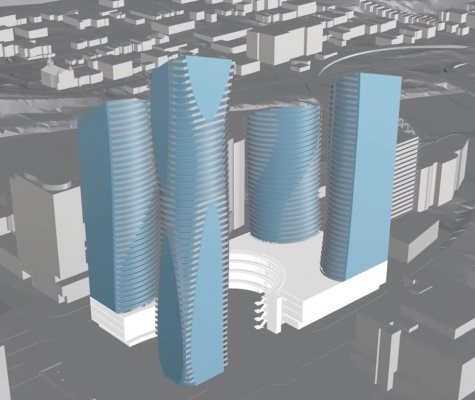 This covered galleria is expected to be a year-round gathering space offering market kiosks, public art, a garden and access to the residential lobbies.